Ouidad Color Sense was received for consideration purposes. Thoughts are our own. Why is it that we always seem to want what we don’t have? For girls, I think this happens most often with our hair. When I was a kid, I had beautiful golden blond straight hair. All I wanted was brown curly hair. I thought it was just beautiful. Now, my hair is naturally a light brown/dark red shade and it turned curly when I was about 15. What do I do? I spend time getting it colored and straightening it. Why do we do these things to ourselves? Don’t get me wrong – I love my curls. 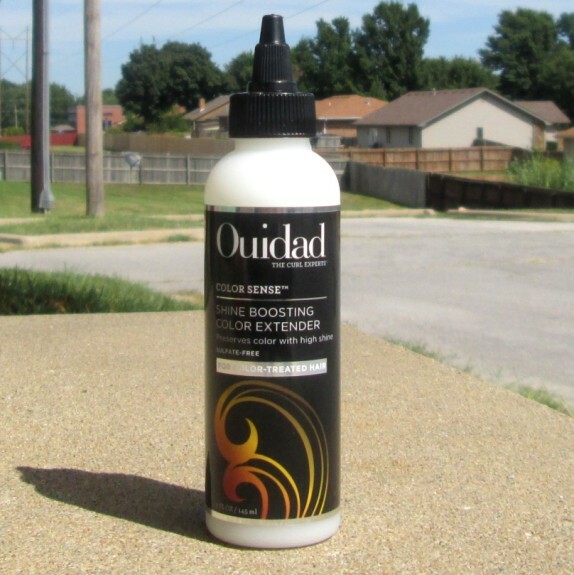 I wear my hair curly a lot, and one of the lines that I really love for my cur-wavy hair is Ouidad. Their products are made specifically for those of us that have curly and wavy hair. It’s not just a few items designed for curls that’s an offshoot of their regular line. 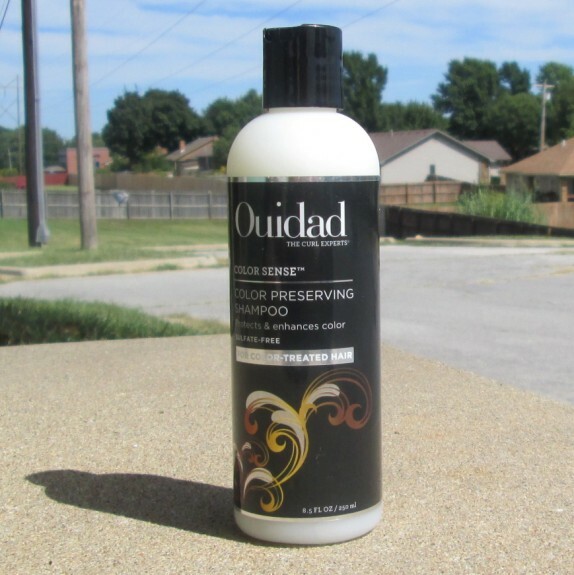 Ouidad knows that our curls need different things, like more moisture, or a way to seal the hair so we don’t get frizz. 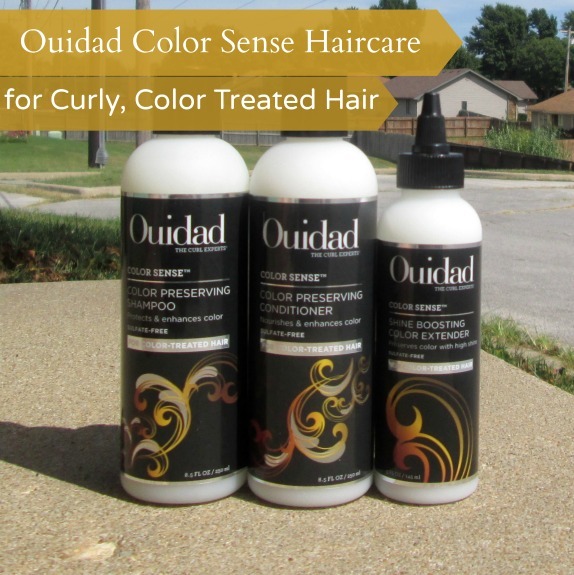 The new Ouidad Color Sense line gives us the best of both worlds. It shields your color with it’s proprietary Color Lock complex, which contains great botanical sun filters like beta carotene and lycopene. This provides a barrier between the hair color and the UV rays. The shampoo also provides additional moisture to your curls, to keep them looking good. Of course, you need a good conditioner. Well, I do at least. The Ouidad Color Sense conditioner also has lycopene and beta carotene, but also has apricot oil and honey that help give your hair resiliency and shine. The secret sauce, if you will, is the Color Sense Shine Boosting Color Extender. This is a treatment that you use once a week, after shampooing and conditioning your hair. Basically, you put it on, comb it through, wait 10 minutes or so, and rinse it out. The Color Sense Chine Boosting Color Extender does several things – it helps to lock in and seal your color. While doing that, it enhances the shine and helps to lock out the UV rays that fade your color. Plus, it’s an added layer of conditioning. Since you spent all that money on your hair color, you want to protect it, right? 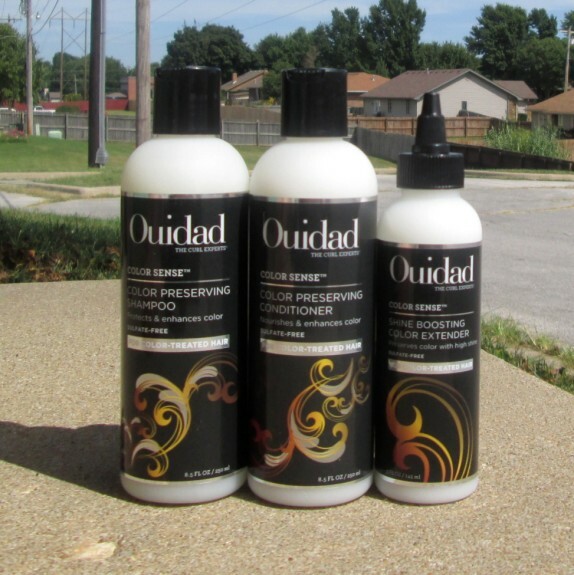 Ouidad products can be found at quality salons, Ulta, Sephora, and at the Ouidad site. 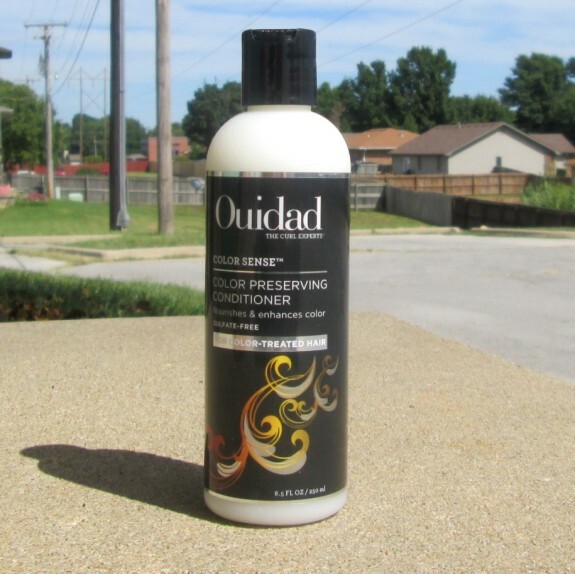 Ouidad makes great haircare products! I need to recommend this to my friend! She as curly, wild hair! I so need this! I have curly/wavy hair but don’t dye my hair. I’ll be checking out their line for something that fits me for sure. My hair has been SO FRIZZY lately from colouring, I need to try this. Thanks for the recommendation! I have never heard of Ouidad but I need to check it out. Thanks for sharing. I’ve not used this product yet but it sounds like something that would help my hair. I’m thinking about getting some and trying it.